Edited by Danyy, 14 February 2019 - 08:42. One hopes it will be a superb motor vehicle! Who is Pierre Waché, Technical Director? The Frenchman is expected to work on improving tyre and mechanical performance. "Rob Marshall, Dan Fallows and Paul Monaghan retain their roles as chief engineering officer, head of aerodynamics and chief car engineer respectively." Very interesting! It seems Wache is reponsible for the RBR's tenacious mechanical grip. Edited by V8 Fireworks, 24 January 2019 - 12:33. I was thinking about TeamMK the other day. Do Aston get any value out of naming rights? Times are always very tight, but we made Newey understand that the first day of the official tests is not a simple functional test"
I laughed at this one. It wouldn't be the first time a car is test-limited due to getting the last ounce of aerodynamical gains. I was reading something about the car also being able to squat down the straights.. I think that was the RB13 and that they had to change their rear suspension for the RB14 because it was deemed illegal by FIA. Edited by Ivanhoe, 24 January 2019 - 15:26. I think that that was in the first 2018 tests, they could squat the rear to decrease the rake and the drag on the straights. Those systems weren't allowed though. + I am not sure if I remember all of that correctly. Don't think they'll be fighting for championships. At best, they'll be close to Ferrari (2016 scenario), in the mix for P2 and win a few more races than last 2 seasons. At worst, Honda blows both power and reliability wise and they'll be looking backwards more often than they want. Even in the worst case scenario I think p3 is safe though. They looked better in more races last year than in 2017, especially in race trim. In Brazil 2017, they were nowhere, in 2018 they should have won it. In the Ziggo interview after Abu Dahbi Max said they had a dog of a car in 2017, both the chassis and the engine. He also said the RB14 chassis was really good. Edited by Ivanhoe, 24 January 2019 - 15:45. Edited by A3, 24 January 2019 - 16:40. According to Marko in motorsport magazin, there will probably be no 'official RB launch'. A bit like last year, car will be released in camouflage paintjob and will do a day at silverstone before the Barcelona test. This, along with the on-going saga of who the hell is Rich Energy, remains a mystery. Will anyone buy a can of Red Bull because they like Aston Martins? Will anyone buy an Aston Martin becasue they drink Red Bull? Will any of Aston Martin's F1 knowledge help Red Bull? Will any of Red Bull's road car knowledge help Aston Martin? The answer to all these questions is 'Hell, no' so WTF is the point? Just finding a purpose for their promotion budget that also brings nice VIP trips for the CEO's and costumers. For sure AM has benefit from this partnership. They will bring dealers/partners etc. to GP weekends as VIP for example. They could take those people to Le Mans where they would actually see real Aston Martin cars racing - and even winning. I think and suspect, F1 is just that higher in ranking and has far more and better facilities for VIP clients. They will go to Le Mans also of course, but that doesn't mean that for instance this deal with Red Bull couldn't have helped with attracting dealers in abu dhabi, at least that's what i expect. I mean on paper, they look weaker than before. Worse overall driver lineup and an engine that, up until now, has been less powerful and reliable than their previous one. The basis for them competing for the championship next season seems to come down to the vague hope that Honda will somehow make a big enough step next season to catch-up to Merc/Ferrari. I don’t think RBR are expecting Honda to match the benchmark PU’s at least early in the season. However, RBR can build a pretty killer chassis so they may be expecting to make up the difference on that end. But honestly with the aero reg changes for 2019, who knows what the others will be bringing to the table. Talking about contending for a champion at this point in time is simply hyperbole. Is there any information about todays crashtest results? What makes you think they are there to see the cars or the racing? I for one have high expectations for coming season. This can change during tests and after first races, but for now, i expect them to be title candidate from race one onward. They have shown they can build a car Max loves to drive and where he can fight with. As long he is able to qualify on the first 2 rows he will be every GP fighting for the podiums and wins. But, it's the same as last year, he must get the points from race one, 1e or 3rd isn't the issue, just 5 podiums in first 6 races places them in the fight. Points he gets, others have less. No disrespect toward Gasly, but i don't expect him to be near Max. 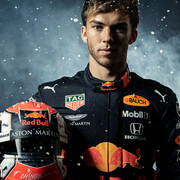 But, he could surprise me, and i think he could make a great year if he could be in a position fight with Bottas, LeClerc and finish higher than p6 in the WDC. It does look to me that the combi Honda/RBR is a far better operating combi than when they where with McLaren. The amount of resources and effort RBR has put to realize their goal "youngest wdc winner" Is huge, I think their that professional, driven and ambitious that they will at least come very close in realizing that goal. Now waiting and hoping i'm right and we are not on P8 in the WCC after 5 races. All the evidence of VIPs at race meetings over the years supports that view! However, to maintain the narrative that guests of team or manufacturer X ate there for the show, they do have to field some race cars for the guests to completely ignore. Let's hope Mr. Newey has learned to package a PU since his Mclaren days. I really hope Honda finally get it right and we get a good hard fight between Mad Max and Lewis. I would guess that Honda will lack (quite) a bit of power and drivability relative to Mercedes and Ferrari, and that Honda also will have more failures than Mercedes and Ferrari. Still hope they will get a couple of wins through the season and if things go well close in on the two in front through the season. The Red Bull team and its RB15 have successfully passed the crash tests and will do a filming day at Silverstone, while the date of the presentation of the new car is expected soon. Edited by Danyy, 25 January 2019 - 00:23. Any drone owners near Silverstone? OK, then this publication must have some Insider information. On the other hand i hope they didn't mistranlate the original german report from motorsport-magazin.com, because there was only mentioned that they will do the crash tests on thursday and that they are planning a filming day at silverstone. But if the quoted information about the passed crashtests is true, then GOOD NEWS! Edited by lio007, 25 January 2019 - 05:15. Aren’t crashtests mostly a formality these days? Anyway, though I’m all but sure RBR/Honda will come good this year, I’m much more exited then previous years. RB is now finally Max’s team and I hope they build the car to his liking. It helps that he is so technically gifted and understand what he wants. If Honda deliver, he could be right in the mix. The new aero regs should also suit him as he stated he liked the 2016 cars much better than 2017 and 2018 ones. In 2016 you could follow cars much closer without performance dropping off so fast. I’m hoping it will come good, but I am not so sure yet. I wish RBR followed Ferrari’s (and to a certain extent MB’s) example and just keep their mouths shut regarding 2019 expectations and such. “The Honda is great” or “We spend 15 million on the new regs, but we recovered the downforce and outwash already“. Do the talking on track guys! Granted, Cyril is even worse in the press, (the ones who know me, know Cyril is at the top of my s..t list) but I really don’t get the high-horse-attitude. Better be silent and blow everyone away in Barcelona, than talking it up and be the fifth team during the first part of the season to be caught with your pants down. All the talk makes me worry more than that it eases my mind. RBR won't be fighting for championships in 2019. Marko and Horner have already acknowledged that. Like last season, I think they'll be fighting for a few race wins and podiums in 2019 but also suffer a few mechanical DNF's and engine penalties. It might be a different story in 2020 though if Honda keep improving. I agree, but Marko has been saying they will fight for the 2019 title for some time. Marko: "We want to crown the youngest world champion in history. 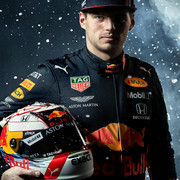 I have told the team that there are no excuses," he said, referring to Verstappen. Marko said Red Bull's 2019 engine partner, Honda, is "already ahead of Renault". "Toro Rosso are sacrificing their season for the big one in 2019. That is our tactic to get the most out of next year," Marko is quoted by RTL. What was it, two years ago? A car didn't pass because of the short nose, anyone? Yup, that was a complete new design. Passing it now means they just use the same nose design I suspect. This year it will be between Mercedes and Ferrari again. They have such a big resources that they can afford building two separate cars for this year and the following year. Their power units and chassis are well integrated and efficient. 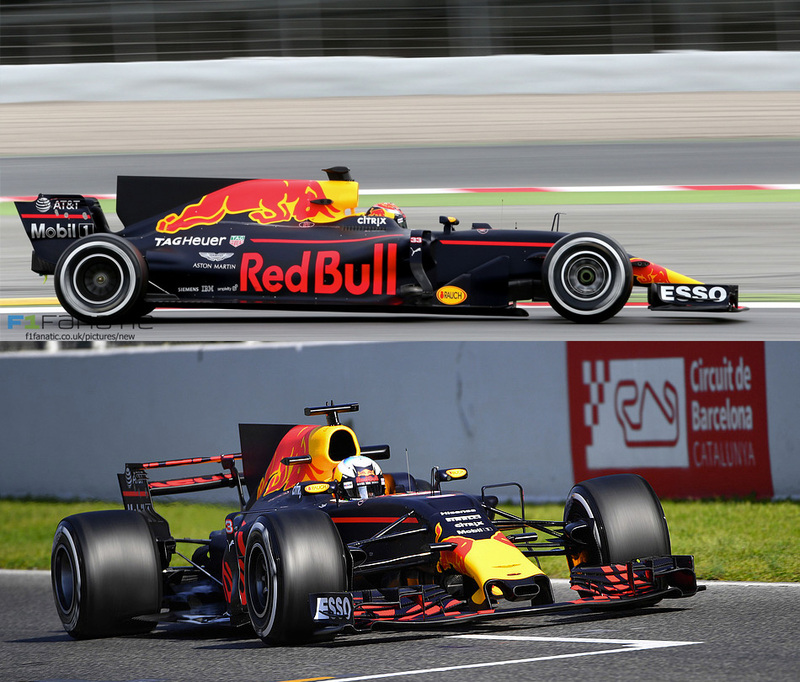 Red bull will be the 3rd best team again, however, they won't be as competitive as they were in 2018 IMO. They are waiting for the rules changes in 2021 to be contender like McLaren and Renault. Edited by Mc_Silver, 26 January 2019 - 16:16. Edited by Paco, 26 January 2019 - 17:14.
you didnt see the poll? Can they fight for the championship? It would be an interesting scenario if Red Bull produces a real monster of chassis...let’s say a .5 advantage with a great tire wear to boot. With that said, I wouldn’t put it past Red Bull to do so. If Honda could cut the gap in half and give Red Bull a party mode for qualy, things could be quite interesting despite the power deficit. I do expect Honda to have some reliability issues, so that will be equally important to manage if they plan on being a legit championship contender though. Hopefully the reliability won’t be too bad, and Red Bull can minimize the damage (they’ve had some great races starting from the back of the field, so I’m not too worried about that). Time will tell, but I hope Red Bull can at least be in the ballpark so we can possibly see a 3 way battle at the front for a change. The harder Honda push to close that considerable gap to Mercedes/Ferrari, the more likely they are to have a spate of failures. Plus Honda haven't had sustained success in F1 for a long time, do we trust them? I don't. Red Bull are rolling the dice big time. Make no mistake about that, Merc and Ferrari aren't sitting on their hands either. Rolling the dice big time? They’ve been rolling the dice for half a decade now hoping Renault would come good (wasting billions in the process)....obviously that never happened. Honda’s PU was in the ballpark of the Renault last year and has shown a greater rate of improvement. I don’t see how they are rolling the dice big time, especially when they’ve now got works status with their engine manufacturer and are saving a lot of money in the process. Ok lets wait and see. Edited by PlayboyRacer, 27 January 2019 - 05:08. No, they made a rational decision because they could compare 2 engines. They choose the best option, in their view. Mclaren rolled the dice when they choose an engine that did not even exist. Why is the above rolling the dice? It is simple logic. Edited by PlayboyRacer, 27 January 2019 - 09:13. I dont think it’s a given that they will be better than in ‘18. I do think they made a rational (long term) choice. ‘Rolling the dice’ implies they are just taking a big risk / making a guess and hoping for the best. Given the options they had, they made a well thought through decision imo. This season can't come quick enough. I think i understand what you mean, but think "rolling the dice big time" isn't the right description. You are correct that those 2 will keep developing. And, there are no guarantees what so ever Honda will catch them. But the choice RBR had was Renault or Honda, the one is not more rolling a dice than the other (imo, and think general opinion). It's a forced decision they had to make between (on the eye) 2 bad engines. If they would lose one of the 2 top engines for a Honda factory team/engine, than i think "rolling the dice big time" would be justified. Now it's just a last chance to make something out of this adventure which by not succeeding could easy lead to exit the sport from the parent company Red Bull (i don't expect these big teams on itself wouldn't survive, just sell far below market price i expect), but that exit possibility was there with Renault engine also.